Stay up-to-date with the latest news from WMHF & WMHMC! Check out our feature in Keola Magazine! Just north of Kā‘anapali, on land that is part of the Kā‘anapali 2020 community plan, sits 14.994 acres of land between the Honoapi‘ilani Highway and Kā‘anapali Coffee Farms. This site will soon become the first hospital built in Hawai‘i in 20 years, and West Maui’s connection to healthcare; a 24-hour emergency room and hospital with 25 critical access beds, plus three operating rooms. Unlike large state-run hospitals, this small private facility will be able to achieve a “critical access” designation from the Federal Center for Medicare and Medicaid Services. Under this designation, cost based reimbursement for services to Medicare and Medicaid patients will give the West Maui Hospital business model a high probability for success. Adjacent to the small hospital there will be two other facilities: a 40-bed Skilled Nursing Facility, a separate 40-bed Assisted Living Facility, as well as a future 40-bed Drug and Alcohol Rehabilitation Facility. West Maui residents will also benefit from two new medical office building; clinics on the hospital campus, so that physician and hospital services are available at one central location, midway between LāhaināKā‘anapali and Honokōwai Kapalua areas. Currently, it takes up to one hour to drive to Maui Memorial Medical Center in Wailuku; an ambulance can make the run in 30 minutes in good weather. The single lane highway that winds over the Pali cliffs between Lāhainā and Wailuku can be impassable during rockslides or run-away brush fires, and there is no safe alternate route. For West Maui residents and visitors, access to immediate critical care in Lāhainā could make the difference between life and death—especially for victims of stroke, heart attack, or major trauma. The community has supported this hospital project since its inception in 2002. The West Maui Hospital Foundation, Inc. received its positive Determination Letter from the IRS. As of October 9, 2014, the West Maui Hospital Foundation, Inc. is a 501(c)(3) exempt organization. 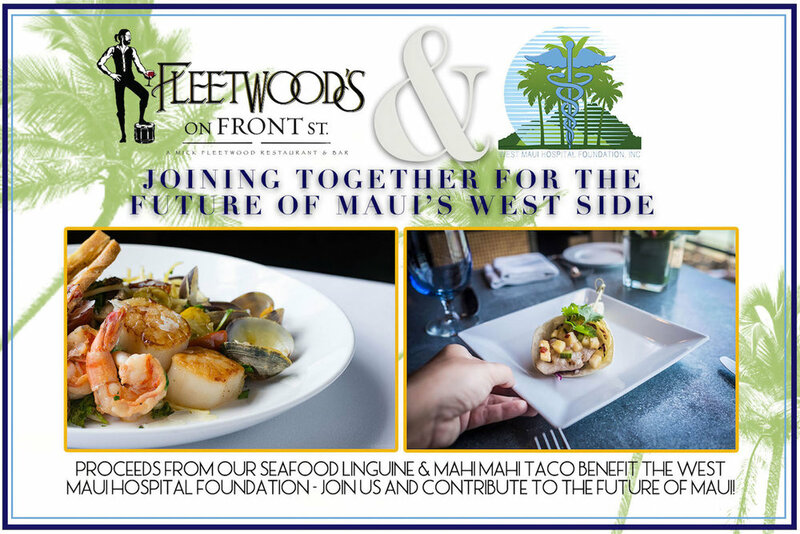 The Foundation is the sole entity responsible for raising money for the development, construction, and on-going operation of the West Maui Hospital. The Foundation will be hosting a kick-off fundraiser in 2015. Details of the kick-off fundraiser will soon follow. On Wednesday, November 19, 2014, at 4pm the Maui Planning Commission will be conducting a site visit at the West Maui Hospital and Medical Center’s site off of Kaka’alaneo Road in Lahaina. The site visit will be followed by a public hearing for the entitlements for the West Maui Hospital and Medical Center at the Lahaina Senior Center at 6pm located at 788 Pauoa St, in Lahaina. Any and all members of the community are encouraged to attend to show support of the West Maui Hospital and Medical Center by either attending and/or testifying at the hearing. The West Maui Hospital and Medical Center is pleased to inform the Community of West Maui that there will be an Urban Design Review Board (“UDRB”) meeting to review the project with a focus on the design aspect. At this meeting, the UDRB will make a determination as to whether or not to approve the project design guidelines as submitted by the West Maui Hospital and Medical Center. This meeting is open for public testimony. Any members of the community are encouraged to attend and either show such support by attendance and/or testimony. The UDRB meeting will be in the Planning Department Conference Room located at 250 S. High Street in Wailuku at 10am on Wednesday, November 5, 2014. Hospital coming to West Maui; Will Doctors Come Too? LAHAINA - Developers of the long-awaited West Maui Hospital and Medical Center expect to begin construction in the next 13 to 14 months, but residents and local medical officials wonder where the new hospital will find the physicians and the money to pay them. "Where are they coming from?" Kaanapali resident Roger Ross asked during a community meeting Monday attended by at least a hundred people at the Lahaina Civic Center. "It's a serious question because there's only a handful of specialists on this island and most of them live on the other side because they're on-call at Maui Memorial (Medical Center)." Wesley Lo, Maui regional chief executive officer of Hawaii Health System Corp. of which Maui Memorial is a part, said that the new hospital could face high costs in employing salaried staff physicians. Brian Hoyle, president of Newport Hospital Corp., shakes hands with Maui residents Bob Pure (from left), J.J. Elkin and Lina Prudencio after a community meeting for the West Maui Hospital and Medical Center on Monday night at the Lahaina Civic Center. Newport Hospital is the developer of the project, and Hoyle is a board member of the West Maui Hospital Foundation that will run the facility. "Maybe 10 years ago, Maui Memorial didn't employ any physicians," Lo said. "Physicians were in practice for themselves. Now the landscape is changing, where the independents are retiring and the new, younger ones rather be salaried and paid by somebody. "We have to pay the salary and run the business for them." Brian Hoyle, president of Newport Hospital Corp., which is developing the new hospital, said that the new hospital is not focused on hiring specialists and that it is "premature" to speculate on a budget for employing doctors. He played down comparisons with Maui Memorial. As a critical-access hospital that serves a rural community, the new hospital would be limited to 25 acute-care inpatient beds - far fewer than the 200 beds at Maui Memorial. "It's not a comparison. It's a completely different hospital," Hoyle said. "We're a small facility and community-based model. We're not looking at a salary-hospital model, but we will have salaried positions." Charlie Slaton, chief executive officer of Critical Access HealthCare LLC, which will manage the hospital, told the crowd Monday that the hospital will employ 65 to 75 nurses and another 50 people in other roles. He added that many independent physicians will be on call. Lo said the developers may have difficulties pulling local physicians away from their established practices. "For primary physicians, it's still a business where you have to see a lot of patients to make a decent living," he said. "So some of them may think they're better off staying at a clinic where you can see as many patients as possible." Nick Hughey, regional administrator of Kula Hospital and Lanai Community Hospital, both critical-access care hospitals in rural communities, shared the same concerns. "It's just sort of the whole industry transitioning to an employed-physician model," he said. "It's an absolute operating reality." Hoyle said there are many independent physicians on Maui who may want to work in a rural hospital. He told the audience that there are hundreds of practicing physicians on the island and even more that are retired. "We don't have a hospital on the west side. That's why we don't have physicians here," he said. "What we're creating is a source of employment. If you have a place to practice your craft, this is a place you would be able to work at least on some level." State and county lawmakers in attendance Monday included state Sen. Roz Baker, state Rep. Angus McKelvey and Council Members Gladys Baisa and Stacy Crivello. Following the meeting, McKelvey said he was happy to see the project gain some "immediate traction" but shared similar concerns about physicians. McKelvey suggested offering incentives for physicians to practice at the hospital by providing housing options. The Kaanapali 2020 project, a mix of single-family and multifamily homes, located near the planned hospital, might be a possibility. "Why don't they get some of this market-price housing to attract doctors" and other medical professionals? he asked. The 53,000-square-foot hospital is planned for 15 acres on Kakaalaneo Road, makai of the Kaanapali Coffee Farms. The hospital will include 19 general acute beds, six critical-care beds, a 24-hour pharmacy and emergency department, three operating rooms, a diagnostic radiology department and outpatient services. The project also calls for two 40,000-square-foot facilities for nursing and assisted-living patients, as well as two 30,000-square-foot buildings for medical offices and a clinic. Long-term plans call for a 40-bed, drug rehabilitation facility. During Monday's meeting, Slaton explained to the crowd that the hospital's designation as a critical-access hospital means that it will receive reimbursement from Medicare and be allowed to have flexible staffing and services. Slaton acknowledged that the new hospital cannot handle major cases, such as open heart surgery, and would need to transfer patients to a larger medical center, such as Maui Memorial, for such procedures. Part of the benefit of the new hospital is quicker response time for trauma patients, who are currently transported to Maui Memorial on the other side of the island for treatment. Some residents questioned whether the additional time and treatment in West Maui would only delay the transfer to Maui Memorial in Central Maui. Slaton rejected the notion. "Every day, patients are seen in these rural hospitals and stabilized and shipped to other hospitals," he said. "I have to reject the criticism to throw them in the back of the ambulance and pray." There are close to 1,500 critical-access hospitals in the nation that have saved thousands of lives by being able to treat victims in rural communities immediately, Slaton said. "What you do have is the ability of board-certified physicians stabilizing patients," he said. "I think that's preferable as far as that's concerned." The project is expected to cost $60 million, about $47 million for the hospital and about $13 million for the nursing and assisted-living buildings, Hoyle said. He said his company is providing the initial equity and purchasing the land but is still securing land entitlements that could take about a year. The nonprofit West Maui Hospital Foundation will be the owners of the hospital, and the board members were introduced to the audience Monday. The members include Hoyle; county Transportation Director Jo Anne Johnson Winer; Howard Hanzawa, retired senior vice president for Kaanapali Land Management Corp.; and Dr. Alfred Arensdorf, a child and adolescent psychiatrist. Although Lo offered his concerns about the new hospital, he remains confident in the abilities of the people behind the project. "I think this gentleman they're bringing in is experienced, and I'm anxious to see their plans," he said of Slaton. "I wish them luck because we're all in the same boat." Newport Hospital Corporation is pleased to announce that a viable financing plan is underway for the development of the entire West Maui Hospital and Medical Center project, which consists of a 25 bed acute-care bed hospital, 40 bed assisted living facility, 40 bed skilled nursing facility, a state of the art medical office building, and a future drug and alcohol rehabilitation facility. This plan includes a sale/leaseback arrangement wherein the newly formed non-profit West Maui Hospital Foundation, Inc. will serve as the operator of the Hospital and Critical Access HealthCare, LLC will manage the Hospital. This plan, together with the recent formation of the West Maui Hospital Foundation, encapsulates the continued promise to the community to provide a "Center of Excellence" in acute healthcare with a 24-hour Emergency Room to West Maui. The West Maui Hospital Foundation was incorporated in April of this year and arose out of the continued dedication to of a few highly respected community members to bring quality healthcare to West Maui. These community members represent the current Board of Directors of the West Maui Foundation: JoAnne Johnson-Winer, a former two term Maui County Council Member for West Maui who currently serves the role of Maui County Transportation Director; Howard Hanazawa, Civil Engineer, former Senior Vice President of Kaanapali Land Management, forty year resident of Maui, and current Maui County Police Commissioner; Dr. Alfred Arensdorf, Psychiatrist, former Maui Health District Officer, thirty-six year resident of Maui and previous executive assistant to Mayor Tavares; and Mr. Brian Hoyle, President of Newport Hospital Corporation. These individuals have shown a steadfast commitment to the community and will continue to work through the West Maui Hospital Foundation in raising $5 million in donations solely dedicated to funding of the West Maui Hospital's start-up and ongoing working capital needs. Updates in the coming months will be available on the West Maui Hospital and Medical Center site at www.westmauihospitalandmedicalcenter.org. Further, once the West Maui Hospital Foundation obtains its official 501(c)(3) designation in the very near future, donations will be accepted on its website at www.westmauihospitalfoundation.org. Financing has been secured for the long-awaited West Maui Hospital and Medical Center, clearing the way for California-based developer Brian Hoyle to seek land entitlements and government permits for the project. "We don't have the money in the bank," said Hoyle, Newport Hospital Corp. president, in a telephone interview late last week. But for a $45 million to $50 million project, it's not unusual for the loan to be funded shortly before construction begins, he said, adding that he has a commitment from an unidentified global real estate investment trust with access to "many billions" of dollars that finances projects worldwide. The trust will be "financing all of our needs," Hoyle said. The project's financing plan is a sale-leaseback arrangement, which Hoyle said is a "common financing" strategy in which the independent investor owns the real estate and then leases it to the operator of the facility. In the West Maui hospital's case, its operator would be the West Maui Hospital Foundation, formed in April, and the manager of the acute-care hospital would be Critical Access HealthCare LLC. "This plan, together with the recent formation of the West Maui Hospital Foundation, encapsulates the continued promise to the community to provide a 'center of excellence' in acute health care with a 24-hour emergency room to West Maui," an announcement from Newport Hospital Corp. said. No new hospitals have been built on Maui since the Central Maui Memorial Hospital was built in 1952 in Wailuku, Hoyle said. Its name changed to Maui Memorial Hospital in 1963 and to Maui Memorial Medical Center in 1998. The last hospital built in the state was the North Hawaii Community Hospital in 1995 at Kamuela on the Big Island, he said. In March 2009, Newport Hospital Corp. received a certificate of need from the State Health Planning and Development Agency for the establishment of a West Maui facility with 19 medical/surgical beds, six critical care beds, 40 skilled nursing beds, an emergency room, operating room, a diagnostic radiology department and other, including outpatient, services. The capital costs were projected to be nearly $45.8 million. Facility plans also include a 30,000-square-foot medical office building, Hoyle said. After exploring a number of locations, the hospital developer plans to locate the facility on 14.99 acres in Kaanapali off of Kakaalaneo Drive, mauka of Honoapiilani Highway. Hoyle said that the property is zoned agricultural and will need to be rezoned for public use. If all goes according to plans, construction work could begin in early 2015, with the hospital completed in 15 to 18 months, or mid to late 2016, he said. After finding a new location, hospital developer and part-time Maui resident Brian Hoyle said he's nearly ready to move forward with his much-anticipated plans to build an acute-care and nursing home facility for West Maui. In a few years, he also wants to build a drug and alcohol treatment facility, medical office space and a world-class health and wellness center on 60 adjoining acres to his new property next to the Pu'ukoli'i Village and Kaanapali Coffee Farms off of the new Kakalaneo Road, Hoyle said in an interview Saturday. More than a year and a half after getting a Certificate of Need from the State Health Planning and Development Agency, Hoyle said he hopes to begin construction sometime next year on the estimated $46 million West Maui Hospital and Medical Center. Under his timeline, the 50,000-square-foot hospital and 25,000-square-foot medical office building would open in mid-2013. The heart of his ambitious plans has not been altered, he said, and still calls for a 24/7 emergency room, pharmacy and radiology services, 25 acute-care beds, 40 assisted-living beds, 40 nursing-home units and three operating suites. The latter would be used for elective surgery as well as emergency care to help cover costs, he said. Hoyle said the hospital and nursing home would employ about 100 people full and part time, at least. "No one from the community will be turned away," he said of the care. "I have not heard one negative comment." But some members of the local medical community aren't as optimistic as Hoyle. They've said they doubt he'll be able to find enough staff for all his plans on an island without a 24-hour pharmacy today. Others have said the money would be better spent improving transportation to Maui Memorial Medical Center, which continues to expand its services. Hoyle owns California-based Newport Hospital Corp., which he said has built 50 hospitals and nursing homes across the country. He said there are federal dollars out there to build a hospital, from the Department of Agriculture and Department of Housing and Urban Development. But, contrary to rumors, he has not applied for any of the agencies' low-interest loans yet without all his pieces in place, he said. Either way, he said the hospital will get built. He has partners, the giant Baltimore-based Capital Funding Group and his own significant resources - but he also does not have the funding or staff in place yet for the project, Hoyle said. He pledges that financing won't be a problem once the architectural drawings are completed, a few land title issues are cleared up and Maui County grants him his building permits. Hoyle said he expects to have those last loose ends wrapped up by January, after hearings and subsequent approval from the state Land Use Commission, SHPDA and Department of Transportation. Council Member Jo Anne Johnson, who holds the West Maui residency seat, said the government needs to get out of the way of this project and instead do whatever it can to make the much-needed facility a reality. "Seventy million dollars in the world of health care is not very much," Hoyle said. "My company has a long track record, too. We showed we are committed, too, by buying the land. We're coming into the deal heavy on cash. A lender loves to give money to someone with financial resources, i.e., cash. The government is ready to put up money for rural hospitals, and West Maui has been designated as rural." He said he's already selected contractor Ledcor Construction to build the facility and estimates it will generate at least 100 construction jobs. The new site is zoned for a hospital, but it needs a subdivision approval from the state, he said. When it comes to staffing, Hoyle said, he's taking an "if you build it, they will come" approach, since his facility will include a state-of-the-art medical office building, where physicians could purchase their own suites. He also said he's going to recruit locally first. Joseph Pluta, president of the West Maui Improvement Foundation, said that in order to get his Certificate of Need approved, Hoyle had to convince the state he could staff the hospital. He also said that Hoyle already had been meeting with local doctors and reaching out to them. Hoyle said he anticipates creating partnerships with Kaiser Permanente and Maui Medical Group, both of which operate clinics in Lahaina that are showing their age. Hoyle said he also wants to work with Maui Memorial Medical Center, University of Hawaii Maui College's nursing school and UH's John A. Burns School of Medicine to recruit or share doctors. "Maui Memorial needs the beds," Hoyle said. "It's a huge problem." But Maui Memorial Chief Executive Officer Wesley Lo said it's been about a year since he talked to Hoyle, and although he isn't against a partnership, he doesn't know what that would entail. When the West Maui hospital idea was gaining steam, Maui Memorial didn't get in its way, Lo said. However, for a variety of reasons now, the financial margins are thinner than ever for hospitals. Maui Memorial's occupancy rates went from waiting lists to 65 percent occupancy, Lo said. "I'm really not worried, I'm really not," Hoyle said of the staffing question for his for-profit facility. "We're not going to take anything away from Maui Memorial," he added. "We're going to help them." Lo questioned whether the West Maui hospital can make it long term. "Just like the hotels, they need to have reasonable occupancy, and most hospitals are struggling," Lo said. "The new trend is to build a critical mass with larger hospitals." Hoyle said that, for one thing, he gets full Medicare and Medicaid reimbursements, unlike government hospitals. "It can be profitable, if you watch your costs," Hoyle said. "And I am not going to make a billion dollars here. No. But the hospital will pay for itself. A potential profit source is the (50,000 daily) West Maui visitors who come here and pay more, as they do everywhere." That would cut into the business of West Maui's existing clinics, critics have also said. Pluta said he heard more than a year ago that the project was in trouble and that it would cost another $8.5 million to build a new access road behind the civic center. "I thought, 'Oh, my gosh, the plan is dead," Pluta said. "I can tell you we've been just delighted with the new approach." He said that the new site has all the utilities in place as well, except for a connection to the sewage treatment plant. The old site above the Lahaina Civic Center didn't have an access road. Hoyle said he was going to build on an easement over Hawaiian homelands property but a recent Supreme Court decision banning such land sales made that impossible. He said he has purchased a new, 15-acre site from Kaanapali Land Management Co. for an undisclosed price - in cash. The new location on the eastern border of the road is better suited, he said, with two access points. And it's below the proposed Lahaina bypass route and will eventually connect to the highway. "In five to 10 years, it will look like an incredible site," he said. He added that an environmental impact statement, or the presence of historical or archaeological sites, won't come into play since it was farmed for more than a 100 years with pineapples. For more than 10 years, residents in the West Maui Taxpayers Association and later the West Maui Improvement Foundation lobbied for a hospital, saying they'd lost friends and loved ones who didn't get treatment in the "golden hour" after a stroke or heart attack. And Honoapiilani Highway can be blocked during an accident or shut down for a wildfire. "People love this project," Hoyle said. "We've gotta do it, and I want to do it. And so far it's the best thing I've ever done." Hoyle was asked if ambulances would stop at the West Maui hospital with their critical-care patients. After all, Maui Memorial has a full ER and cardiologists, or many patients are flown to The Queen's Medical Center on Oahu. "We can at least stabilize that person," he said. "We won't do open-heart surgery. But if someone can get to a hospital, they have a far better chance. The most important thing here is that we will save lives." West Maui would become a medical enterprise zone, making it a magnet for new health-care jobs, under a proposal being considered in the state Legislature. House Bill 553 would create a seven-year pilot program aimed at turning West Maui into a health-care hub, using business tax credits, tax exemptions and other incentives to attract development of medical and health-research facilities. The measure cleared the House and has its first hearings in the Senate today. Meanwhile, the State Health Planning and Development Agency last week approved the development of a long-awaited second hospital on Maui, which will be built on 15 acres in Lahaina. The $46 million West Maui Hospital & Medical Center — a 25-bed hospital, 40-bed skilled-nursing facility and medical office building — will be federally designated as a critical-access hospital. State Rep. Angus McKelvey, D-Lahaina-Kaanapali-Kapalua, who introduced House Bill 553, said pairing the new hospital with the creation of a medical enterprise zone is the "perfect marriage." "We have the ability to give business and this hospital the tools it needs to flourish, especially in this economic climate, without creating unnecessary drains on the [state] fund," McKelvey said. "The return on investment from this alone is worthy of further discussion and this could be a shining star in government's hat because you're talking about creating high-paying jobs and diversifying the economy." Under the proposal, new businesses wanting to set up a medical or research facility in fields such as biotechnology, biomedicine or pharmaceuticals could be eligible for state income and unemployment tax credits every year for up to seven years if they are in the designated medical enterprise zone. Additional incentives call for Maui County to reduce permit and user fees and real property taxes. Opponents say the pilot program would be too costly to implement given the state's budget deficit. McKelvey said the upfront costs would be minimal when compared to the future revenue that could be gained from the new jobs and businesses. Mainland developers and medical specialists reportedly are interested in Maui if incentives packaged in a medical enterprise zone were available. "There are interested parties out there and we feel the timing is absolutely right," said Brian Hoyle, a hospital developer with California-based Newport Hospital Corp., which is joining with the West Maui Improvement Foundation and the West Maui Taxpayers Association to build the West Maui Hospital. "We're talking about a real high-caliber medical community with high-paying, noncyclical jobs that aren't tied to tourism." Hoyle has developed dozens of health clinics and nursing facilities in the Midwest. The Maui hospital is his first project in Hawaii. Dozens of residents from Lahaina and Kaanapali testified in support of the medical enterprise zone designation, saying it would help ensure the success of the new hospital because it creates a network of providers that will finally make high-quality health-care services available to the 69,000 West Maui residents. Maui's sole acute-care hospital, the Maui Memorial Medical Center in Wailuku, is 35 miles away and West Maui residents have argued for years that they needed a closer hospital, especially as the population of retirees and second-home vacationers has grown. "It would be phenomenally wonderful," said Joe Pluta, president of the West Maui Improvement Foundation and the West Maui Taxpayers Association, who has led the 10-year effort to get the West Maui Hospital built. "Hawaii needs a new economic engine and health care is a recession-proof industry. Instead of fighting to keep private health care out and protecting its antiquated system, the state has to look hard at its health-care system because it needs to be revamped and drastically overhauled." WAILUKU - State approval has been granted for the proposed West Maui Hospital and Medical Center. State Health Planning and Development Agency Administrator Ronald Terry faxed his favorable decision to developer Brian Hoyle and Newport Hospital Corp. in California on Friday afternoon. "We're ecstatic. We're overjoyed," Hoyle said Sunday morning. Newport Hospital Corp. intends to build a $45 million critical access hospital with 25 acute-care beds and a 40-bed skilled nursing facility on 14.9 acres next to Lahaina Civic Center. Maui Memorial Medical Center would continue to serve as the primary acute-care facility for the island, and should not, according to Hoyle, be negatively affected by the establishment of a West Maui hospital. Terry's approval did not come as a surprise given the project's unanimous recommendations from three advisory panels holding public meetings in February and March on Maui. His written decision follows the last public meeting, held March 4 by the Certificate of Need Review Panel, which includes members with expertise and interest in health care services and facilities statewide. In his written decision, Terry said he had considered the advice of the CON panel as well as the Tri-Isle Subarea Health Planning Council and the Statewide Health Planning Coordinating Council. The 16-page decision on the merits states that the certificate criteria had been met. These include relationship to the state health plan, need and accessibility, quality of service/care, cost and finances, relationship to the existing health care system and availability of resources. The decision will be deemed final within 10 working days of its issuance if no one files for a public hearing for a reconsideration of the decision. The only critical testimony at the three public meetings came from surgeon Dr. Peter Galpin, who expressed concern that the proposed project might be considered by the general public as a "definitive care" facility when it's not. Galpin said he believed it would be much more cost-effective to invest in alternative means of transportation to get critically ill or injured patients out of West Maui and into a full-service hospital. Galpin also asked about what would happen if the West Maui hospital were to fail financially. Those arguing for the project said the facility is the West Maui community's biggest need and that the lack of medical facilities has resulted in inconvenience and sometimes tragic outcomes for residents who travel about 35 miles or 45 to 65 minutes "on a good day" by automobile or ambulance to get to Maui Memorial. Hoyle has responded by saying he was prepared to dole out his own money and/or obtain private investors' cash, should financing fall through. As a critical access hospital, Hoyle has said, the facility would benefit from the federal designation which allows as much as 101 percent reimbursements for patients in Medicare and Medicaid insurance programs. Now that the certificate has been approved, Hoyle said, his next step is to obtain zoning for construction. In addition, he plans to follow up on his initial search for architects and engineers for the buildings while simultaneously working out details with Maui Memorial officials about procedures involving patient care. "I'm going full speed ahead," Hoyle said. He said he would be seeking the "most capable and qualified" architects and engineers both locally and on the Mainland. He said he wants the facility to be designed with the Hawaiian culture in mind. "This is not going to look at all like a facility on the Mainland," Hoyle said. Target date for completion is March 2012. "If I could it do faster, I will," Hoyle said. West Maui Improvement Foundation President Joe Pluta said he was still "floating" following the favorable public meetings and recommendations. "I haven't stopped floating," Pluta said. "It's like the impossible has been made possible." Pluta, who also serves as president of the West Maui Taxpayers Association, has lobbied for 10 years to get a hospital built in his neighborhood. "To me this is part of God's plan. It's his time and not mine," Pluta said. He pointed out that the benefits of the project will include investment to the island and jobs in both construction and health care. "Lives are going to be saved. The community is going to be enriched," Pluta said. Pluta has begun planning for a public celebration sometime between March 25-29 when Hoyle returns to the island. "We'll need a large venue for a big celebration," he said. The Hawaii State Health Planning and Development Agency has given the green light for the development of a second hospital on Maui. SHPDA administrator Ronald Terry on Friday approved the certificate-of-need application for the $46 million West Maui Hospital & Medical Center, a 25-bed acute-care hospital to be built on 15 acres near the Lahaina Civic Center. The State Health Planning and Development Agency must approve all new health-care facilities in the state before they can be built. The 53,900-square-foot West Maui Hospital & Medical Center will be federally-designated as a critical access hospital and offer emergency care, diagnostic radiology, clinical laboratory, pharmacy and social services. It also will have a stand-alone 40-bed skilled-nursing facility. The idea behind the Lahaina hospital is to offer accessible emergency health services to the approximately 69,000 West Maui residents. Developer Brian Hoyle of California-based Newport Hospital Corp. is developing the hospital in partnership with the West Maui Improvement Foundation and the West Maui Taxpayers Association. Hoyle has insisted that the Lahaina hospital will not duplicate services already offered by Maui Memorial, which will continue to be the Valley Isle's primary acute-care hospital. The progress of the West Maui hospital plans, which have been in the works for the last decade and gained substantial community support, contrasts with that of the controversial, privately-funded $212 million Malulani Health Systems hospital proposed for Kihei three years ago. Former SHPDA administrator David Sakamoto rejected Malulani's certificate-of-need application in 2006 claiming it would undermine and weaken the health-care system by duplicating and diluting existing services offered by nearby Maui Memorial.